How lovely to meet one of our fantastic school in the cloud colleagues from India in ‘real life’! We have skyped and emailed for the last few years but had never met in person until now. It was great to have a very recent update about the school in the cloud labs in India. Some very powerful learning take place by the sound of it and a lovely story about a girl called Java. It was of course lovely to see Sushmita and Sally too! Looking forward to seeing all of the wonderful work in India for myself soon in February when we all get together for the international SOLES conference. Can’t wait! It was an honour to be asked to create and facilitate a CPD day for Focus school York to explore the idea of Self Directed Learning. We discussed a SOLE session we saw in the morning which posed the question “which jobs will exist in 20 years time and why?” and followed that with a staff SOLE about “why do we forget?” The process and findings gave us lots to reflect upon. Both of these sessions raised interesting points, discussions and ideas. It was also wonderful to hear about learning from a Students perspective from he engine heads who shared those thoughts too. Some of the area we discussed included- How do you know if everyone is engaged in a SOLE? What happens to those not engaged? What happens to learning over time? 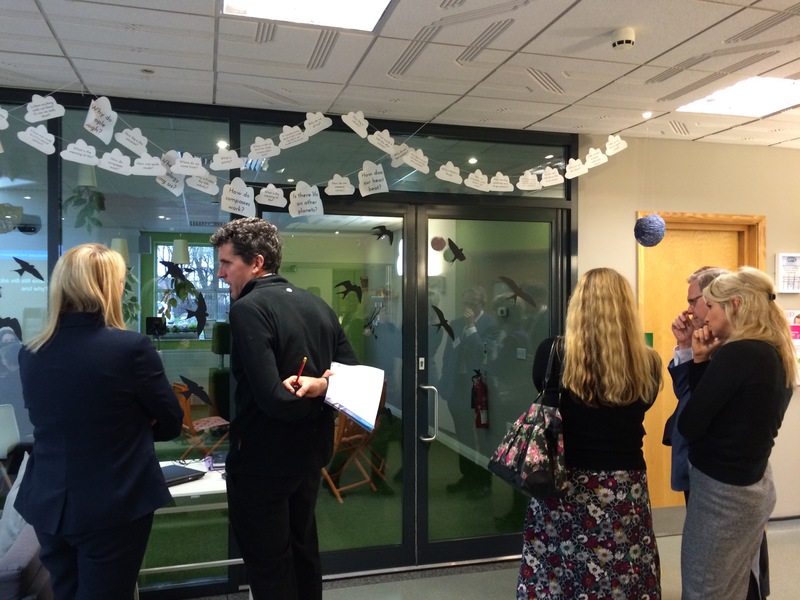 What makes a conducive environment for self directed learning?…..
We spent a little time in the afternoon exploring these questions and others further and started to think of some new big questions. Looking forward to continuing this link with the focus school and seeing how they develop their teaching and learning within this area.